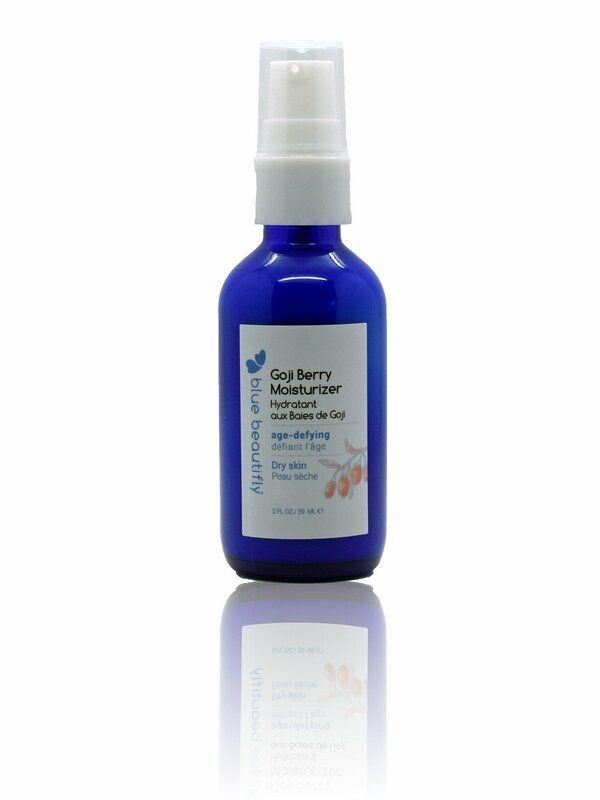 Rich in antioxidants, Goji Berry Moisturizer promotes a more luminous and youthful-looking complexion naturally. It reduces the appearance of fine lines and wrinkles and leaves the skin feeling firm, smooth, and more hydrated. Feel the bliss from the kiss of the luscious fruits in the Goji Berry Moisturizer! Blue Beautifly Facial Moisturizes are infused with potent botanical extracts, precious oils, butters, essential oils, hydrosols, aloe vera juice, and Hyaluronic Acid. With age defying, hydrating, and skin rejuvenating properties, they reveal the skin’s natural luminosity. Organic Raw Goji Berry. 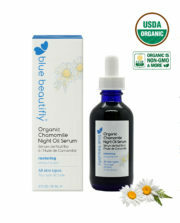 Containing essential fatty acids and vitamins B, C, and E, it offers antioxidant and anti-aging properties. Hyaluronic Acid. Hydrates and helps to retain moisture to make the skin look and feel soft and supple. Organic Cold Pressed Pomegranate Seed Oil. Revitalizes, tones, improves elasticity, softens lines, and tightens pores. Organic Avocado Oil. Hydrates and conditions the skin. 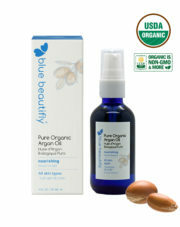 After using Blue Beautifly cleansers, tonics, and serums, apply two or three pumps over the entire face and neck. Avoid getting directly into the eyes. Use morning and night. This cream smells like a cocktail of fruit and flowers. It is very hydrating, perfect for dry skin types or for summer days when you need an extra hydration. I took it for my mother who has dry skin and she loves it.